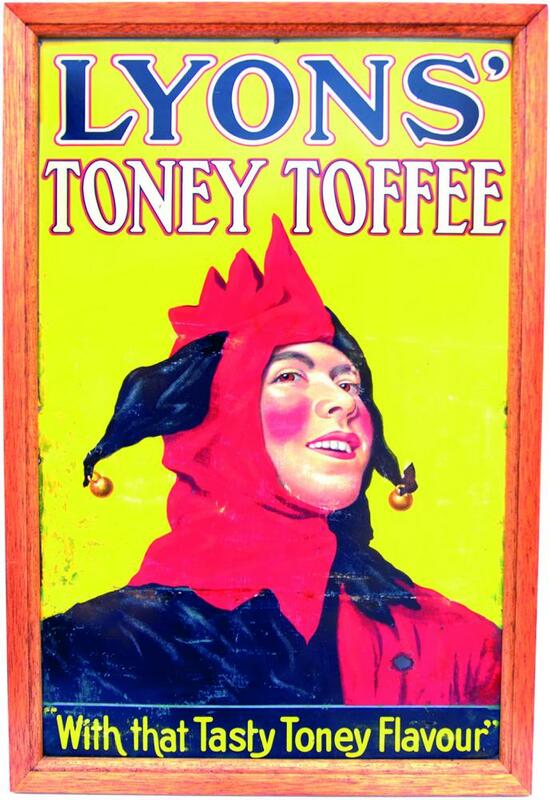 Advertising Tinplate Sign 'Lyons' Toney Toffee With That Tasty Toney Flavour' Image of Jester in red and black outfit, overall ground is yellow with black & white lettering. Some areas of restoration and one small hole. Mounted in a wooden frame measuring 19 x 29 overall. A scarce sign that looks good.